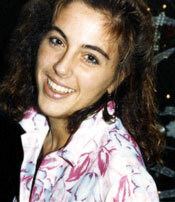 For 15 years, Terri Schiavo was the center of a battle between life and death—her own life and death. While she lay unable to speak for herself, legal and family battles raged around her. In the end, she lost. In the end, we all lost. On February 25, 1990, Terri collapsed at home in Florida. She was 26 years old. When EMTs arrived she wasn’t breathing and had no pulse. They rushed her to the hospital. The battle began. Terri stopped breathing for at least five minutes, and lack of oxygen severely damaged her brain. No one questions that. The battle centered on who got to decide whether her life was worth living: the parents and siblings who loved her or the husband who apparently didn’t want the burden of her care. Within the year, doctors declared Terri to be in a “persistent vegetative state.” She wasn’t hooked up to anything except a feeding tube. But with intensive therapy she began to utter a few syllables. Her parents, Bob and Mary Schindler, began to see her respond to them. Terri’s life might have continued in that direction if Michael Schiavo, her husband and legal guardian, hadn’t filed a malpractice lawsuit. It alleged Terri’s doctor neglected to take a medical history that could’ve revealed a problem. Michael won the case in November 1992 and pocketed $300,000, with another $750,000 in a trust fund for Terri’s care. Afterward, Michael moved Terri from one nursing home to another. Nurses testified that he overrode orders for therapy and allowed her few visitors. While Terri was warehoused in near isolation, Michael found a girlfriend and ultimately had two children with her. He didn’t divorce Terri. That would put the trust fund out of reach. In May 1998, Michael petitioned to have Terri’s feeding tube removed. A court-appointed second guardian advised against it, sensing the trust fund was as much at play as any wishes Terri may or may not have expressed—she left no medical directive. But in February 2000, Judge George Greer ordered the feeding tube removed. For the next five years, the Schindlers used every available legal option to keep their daughter alive. Michael countered. The feeding tube was removed and then reinserted. Michael’s doctors, who only briefly examined Terri, believed she was in a “persistent vegetative state.” However, other doctors who spent much more time with Terri disagreed. Protesters gathered outside her nursing home. National and international media reported every move. Talk radio, much of America and many around the world debated the value of Terri’s life. When the feeding tube was removed again, in October 2003, Florida lawmakers hurriedly passed Terri’s Law so Governor Jeb Bush could intervene. The feeding tube went back in. A year later the Florida Supreme Court overturned Terri’s Law, and on March 18, 2005, Terri’s feeding tube was removed for the last time. Congress was ready with a compromise that transferred jurisdiction over Terri to the federal courts, and on March 21 President George W. Bush signed it. But as in Florida, the federal courts denied further motions. Terri died March 31, 2005, 10 years ago next week. I remember where I was when the TV screen notified a riveted world of her death. I vividly recall shouting at the TV about this grave injustice—millions of Americans felt the same way. Terri didn’t die from disease. She died because for 13 days she was denied food and water—slowly executed by the state of Florida. Terri’s family watched as she succumbed to the horrible effects of starvation and dehydration. It was a ghastly and excruciating death for Terri, and immensely painful for Terri’s loving family who witnessed it. 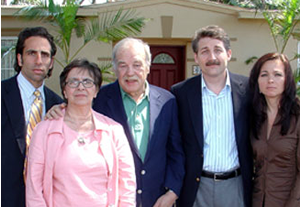 (L-R) Bobby, Mary, and Bob Schindler, Bradley Mattes, and Suzanne Schindler Vitadamo. Shortly after Terri’s death I interviewed the Schindler family for a two-part episode of my weekly TV program Facing Life Head-On. (View Part 1 and Part 2). My heart went out to this grieving family, especially Bob, who was devastated he couldn’t protect his daughter. A few years later I followed up with the family on another TV episode. Bob had experienced a stroke that affected his ability to speak normally. Later, after Bob’s death, his wife, Mary, told me that I was the only person he would allow to interview them. She said, “Because he liked and trusted you.” Bob went to his grave grieving Terri’s death. The effort to defend patients like Terri continues through the work of the Terri Schiavo Life & Hope Network. I’m privileged to serve on its board of directors, currently as its president in the wake of Brother Paul O’Donnell’s unexpected death. Brother Paul had been with the family since before Terri’s death and his absence has left a colossal hole in all of our hearts. The deadly discrimination against patients with profound brain injuries is gruesomely carried out every day. Terri’s death was only the tip of the iceberg. We must speak for them. Learn what you can do to help through Terri’s Network and the resources on our website. Defend the value of human life at every stage. Speak up for the value of compassion. Next week Glenn Beck will be the featured speaker at the annual fundraising banquet for Terri’s Network in Philadelphia. Visit the network’s website for details. This entry was posted in 2015, Euthanasia, The Latest by Bradley Mattes. Bookmark the permalink.